Create a line of beautiful Night Lights to expand your product line! 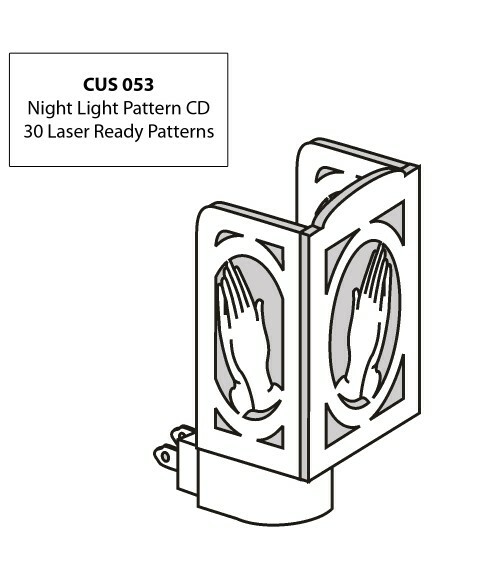 This Night Lights Pattern CD contains 30 intricate projects and the detailed vector patterns and instructions needed to complete each project with ease. This CD is compatible with CorelDRAW X3 and higher. NOTE: Night Light components not included.